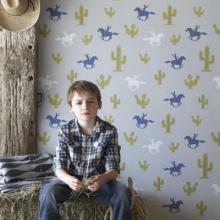 Fresh, new ideas for your children's walls. 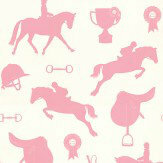 Sophisticated, contemporary, designer wallpapers with a timeless feel. 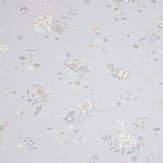 In a controlled palette of dusky, muted tones perfect for children young and old. 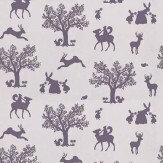 Designs include stars, swans, raindrops and a delightful animal cameo pattern and tee pee gathering. 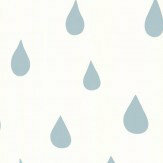 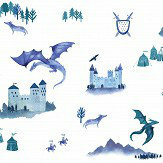 Designed and made in England, these children’s wallpapers boast exceptional quality. 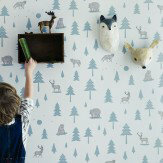 Hibou Home's second collection of stunning wallpapers includes magical charming designs of animals and wildlife, great for children's rooms. 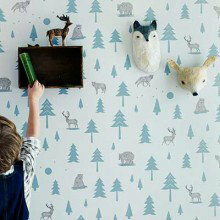 We are delighted to bring you this collection from Hibou Home, a collection of children’s wallpaper that’s not only inspiring and fun but looks fabulous too; designs with longevity that will co-ordinate beautifully with the rest of your home's interior style.